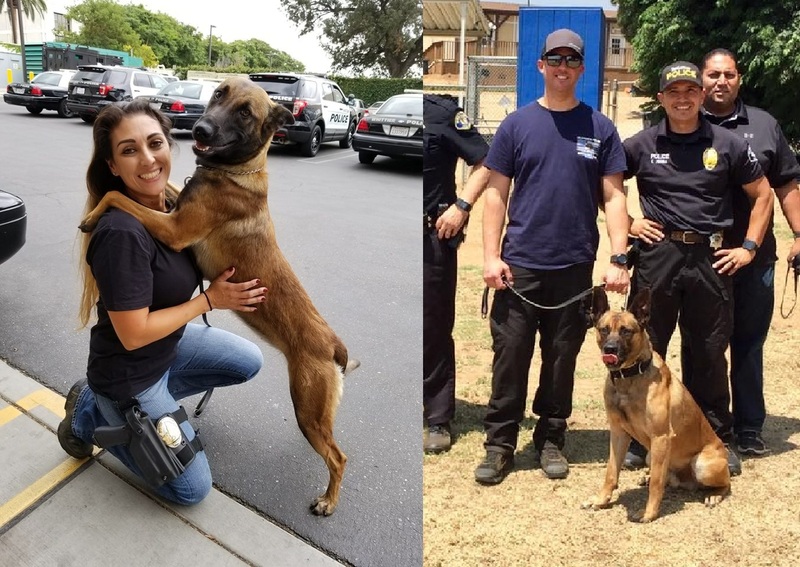 The Whittier Police Department’s first female K-9 and handler team is due to hit the streets for patrol next week, officials said. K-9 Nala recently graduated training, along with handler Officer Angela Balzano, Whittier police Lt. Bryan Ellis said. The team is expected to hit the streets next week. Balzano is the department’s first female K-9 handler, Officer John Scoggins said. Nala is an 18-month-old Belgian Malinois. Nala is trained for patrol operations, and is expected to undergo drug detection training soon, police said. She will become the Whittier Police Department’s second K-9, officials added. “Max,” a 3-year-old German shepherd, began patrolling with Officer Jeremy Rounds last month. Prior to that, the department had gone more than a year without a K-9 on duty. Max was funded by the police department, while Nala was funded by support from the community, Scoggins said. PHOTOS courtesy of the Whittier Police Department. This entry was posted in K-9, Whittier by Brian Day. Bookmark the permalink.